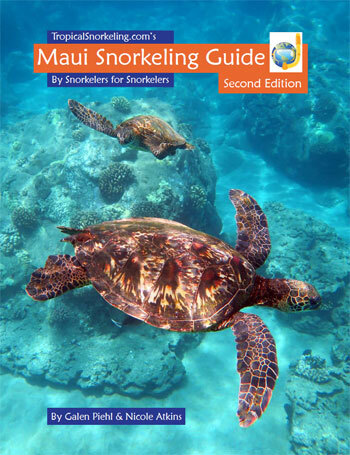 This Hawaii Snorkeling Guide eBook combines four of our guides into one large book that includes the Big Island, Maui, Kauai, and Oahu. Even if you only plan on visiting two islands, for a little extra you can get all the islands in one book for future trips. 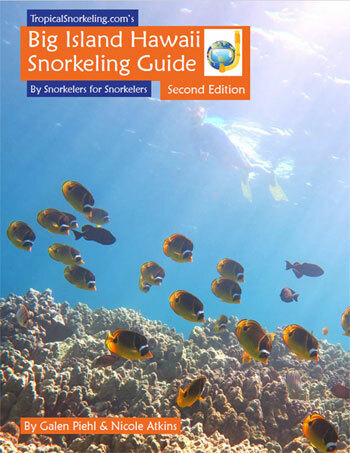 And if you are undecided about what islands to visit for the best snorkeling, or how much time to spend on each island, this guide will help you make decisions. 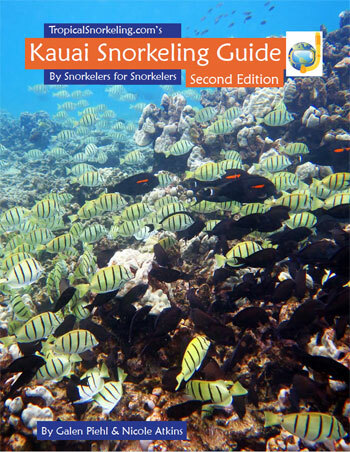 I have all four of the Hawaii guides, and would sooo recommend them to anyone thinking about snorkeling. Even though we've been to Maui and Kauai several times, there's so much more to be learned about both of them! I'm not a really strong swimmer, and really appreciate the advice about the skill levels recommended. I also love the fact that just the directions to the beaches can be printed out, instead of the whole book, which resides on my computers. Going to the Big Island this fall, and will have the guide well in hand. Thanks, Guys. 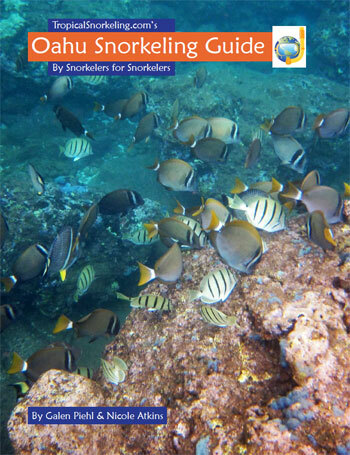 The Hawaii Snorkeling Guide eBook will save you money over buying three guides individually (Oahu is free). And you won't be buying duplicate content like the fish id and equipment chapters that are the same in each book. It is convenient to have all the islands in one book and it saves some hard drive space, although it is still a big file at 42mb. 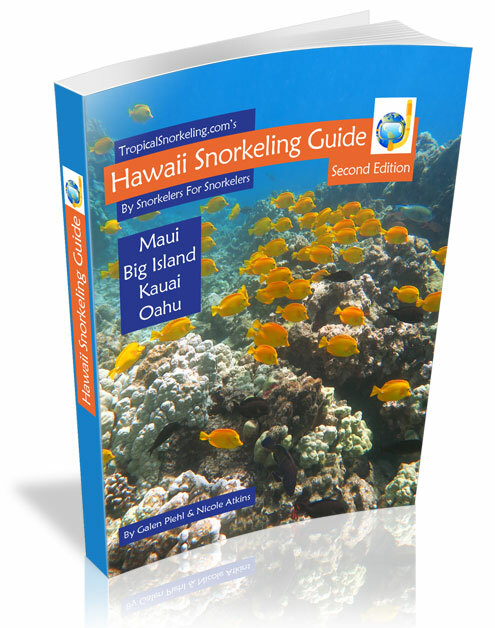 The Oahu information contains the snorkel spots we have on our website here, but expands upon that to include itineraries, rankings, and maps.